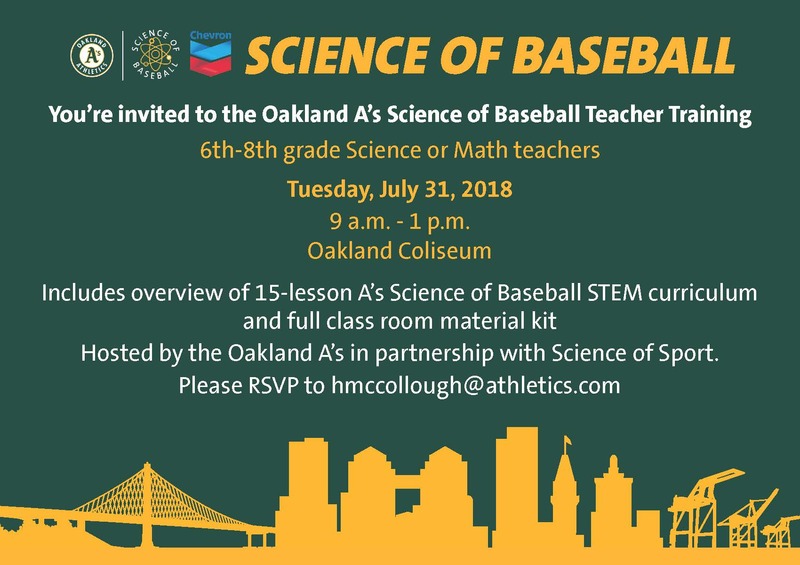 Each teacher will receive professional development credit for attending, a curriculum workbook with 15 Science of Baseball lessons that align with California State Standards, a kit of materials needed to implement the curriculum in the classroom, and tickets to the Teacher Appreciation game that night versus the Toronto Blue Jays! Spots are limited so register now! We cannot wait to see you there!